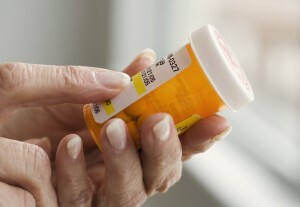 The abuse of prescription painkillers is a growing problem for seniors, as it is for other age groups. But Medicare drug plans are cutting back on coverage for a specially designated type of painkiller that deters abuse in favor of cheaper generics that don’t have the same deterrent qualities, a new study found. Overall, Medicare coverage for long-acting prescription opioids declined from an average 46 percent of plans in 2012 to 36 percent of plans in 2015, the study by Avalere Health found. But coverage of OxyContin, a brand-name drug that has received “abuse-deterrent labeling” from the Food and Drug Administration, fell off more sharply than other long-acting opioids that didn’t receive the deterrent labeling during that time period. OxyContin, originally introduced in 1995, gained notoriety because people soon realized that the extended release oxycodone hydrochloride tablets could be crushed and then injected or snorted for a euphoric rush. Sometimes called “hillbilly heroin,” the drug was reformulated in 2010 by the manufacturer, Purdue Pharma, to make it harder to manipulate. The abuse-deterrent labeling approval means a drug is formulated to make it tougher for patients to snort, inject or otherwise misuse. OxyContin received the designation in 2013; the FDA announcement noted the pills were difficult to crush, break or dissolve, forming a “viscous hydrogel” when tampered with that can’t be easily injected. Three other extended release opioid drugs were approved for abuse-deterrent labeling in 2014, outside the timeframe of the Avalere study. Despite its abuse-deterrent labeling, OxyContin’s coverage rate in the Medicare drug plans, sometimes called Part D plans, dropped from 61 percent in 2012 to 33 percent in 2015, the study found. Although there’s no generic equivalent for OxyContin, the Avalere analysis found that generic oxycodone, which contains the same active ingredient as OxyContin but lacks its special abuse-deterrent labeling, was covered by nearly 100 percent of plans in each of the years studied. The coverage decisions “suggest that the Part D plans are not considering abuse deterrents as any meaningful part of the coverage decision,” says Caroline Pearson, a senior vice president at Avalere and co-author of the study. OxyContin is significantly more expensive than generic hydrocodone. A 120-day supply of generic hydrocodone might cost $28, according to Healthcare bluebook, which estimates prices based on a nationwide database of payment data. A similar prescription of OxyContin, on the other hand, might cost $632, more than 20 times the generic price. Pearson notes that as more drugs receive the abuse-deterrent labeling, competition may bring prices down somewhat.